Medicare's primary fund is expected to be depleted by 2026, three years earlier than health care officials expected last year, per the 2018 report from Medicare's trustees. Why it matters: More than 58 million seniors and disabled people rely on Medicare to get health care services. 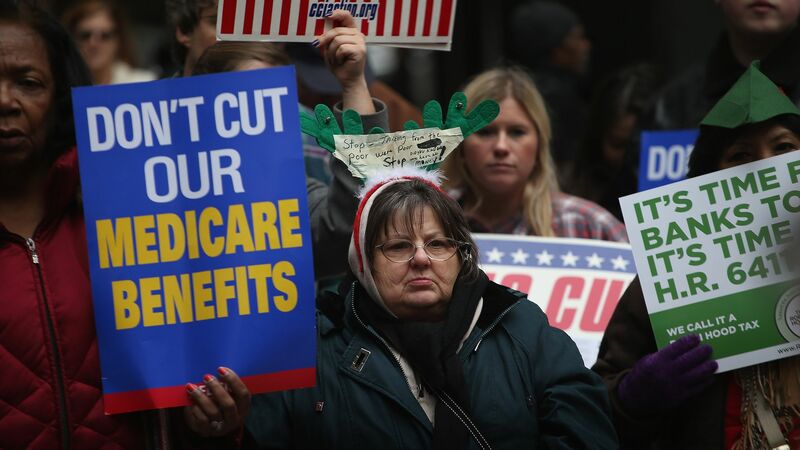 But a dwindling and aging tax base, higher payments to providers and health insurers, and overall high health care prices could result in fewer covered hospital bills for Medicare enrollees in the not-too-distant future. By the numbers: Medicare spent $710 billion in 2017, or more than $12,000 per beneficiary. Medicare's hospital trust fund, which pays for inpatient and nursing care and is mainly funded through payroll taxes, is the one that is expected to be insolvent three years ahead of earlier forecasts. The other portions of Medicare — physician services, Medicare Advantage plans and prescription drug plans — are funded through general taxpayer revenue and premiums that people pay every month. Behind the numbers: Officials said President Trump's tax overhaul likely will hurt the financial shape of Medicare. The law reduced federal income tax rates (which means less money for Medicare) and eliminated the Affordable Care Act's individual mandate (which means Medicare will need more money to reimburse hospitals for treating the uninsured). A warning: Officials urged Congress and the administration to "work with a sense of urgency" because "the early introduction of reforms increases the time available for affected individuals and organizations — including health care providers, beneficiaries and taxpayers — to adjust their expectations and behavior." The big picture: President Trump previously vowed not to cut Medicare, and his administration has offered no plan to increase the program's solvency. Many Democratic lawmakers and candidates are endorsing a "Medicare-for-all" system that would replace the current system of multiple health insurance sources with one cradle-to-grave Medicare system.